Bob Casey: Ban abortion after 20 weeks; but fund Planned Parenthood. Bob Hugin: Pro-choice, but no late-term abortions unless maternal risk. Heidi Heitkamp: Fund Planned Parenthood but don't fund abortions. Jon Tester: No 20-week ban on abortion. Kevin Cramer: Abortion on demand for 40 years leads to school shootings. Lou Barletta: Ban abortion after 20 weeks; de-fund Planned Parenthood. Matt Rosendale: No abortion; no exceptions. Robert Menendez: Yes affordable contraceptives; no unneeded restrictions. Lou Barletta: Recovery is found in private business, not big government. Matt Rosendale: Cut government instead of stimulus spending. Bob Casey: Evolved over time to support gay marriage. Bob Hugin: Supports gay marriage. Robert Menendez: Supports gay marriage. Heidi Heitkamp: Supports Consumer Financial Protection Bureau, with reforms. Kevin Cramer: Consumer Financial Protection Bureau is regulatory overreach. Robert Menendez: Keep CFPB Financial Protection; keep Consumer Advisory Board. Bob Hugin: Decriminalize pot in small amounts but not recreational use. Heidi Heitkamp: Supports medical marijuana; leave recreational use to voters. Jon Tester: Medical marijuana ok; full legalization later. Kevin Cramer: No recreational marijuana; opposes ND ballot measure 3. Matt Rosendale: Medical marijuana ok; let states decide full legalization. Robert Menendez: Give marijuana businesses access to banking services. Bob Casey: Refinance student loans at lower rates. Bob Hugin: Supports expanded charter schools. Heidi Heitkamp: Vouchers take public funds away from public schools. Heidi Heitkamp: Supports public service loan forgiveness for college debt. Jon Tester: Privatizing public schools feeds destruction of democracy. Jon Tester: Restore year-round Pell Grants, & support Perkins Loans. Kevin Cramer: Supports vouchers and charter schools. Kevin Cramer: End student loan interest deduction. Lou Barletta: Empower parents to choose kids' education environment. Matt Rosendale: Government out of college funding. Matt Rosendale: Privatization is critical to improve our education system. Robert Menendez: Vouchers drain money from public schools. Robert Menendez: Supports making 2 years of community college free. Bob Casey: Regulate greenhouse gases; join Paris Climate Accord. Bob Hugin: Climate change is human-caused, but Paris Accord is unfair. Heidi Heitkamp: Tax incentives for renewables, particularly wind power. Kevin Cramer: Climate change is a religious belief. Lou Barletta: Don't regulate greenhouse gases; we're in a cooling trend. Matt Rosendale: Climate changes, but no draconian restrictions on business. Robert Menendez: World must cut greenhouse gas emissions, or reject science. Bob Hugin: Protect our environment in a way that's fair to businesses. Robert Menendez: Don't let the EPA get undermined. Heidi Heitkamp: No discrimination against intimate relationships. Jon Tester: All couples should have same rights as heterosexual couples. Kevin Cramer: Marriage is defined in Scripture. Lou Barletta: Opposes gay marriage; let states decide. Matt Rosendale: Support traditional marriage between one man & one woman. Bob Casey: Go after "trade cheaters" to protect PA jobs. Bob Hugin: In the end, tariffs will get a better deal with China. Heidi Heitkamp: Tariffs on China cause retaliatory actions. Jon Tester: Tariffs on China harm our industries & drive up costs. Kevin Cramer: Tariffs on China are the one tool we have. Lou Barletta: Use tariffs as leverage to get better trade deals. Matt Rosendale: Stop tolerating what China has been doing for decades. Robert Menendez: Tariffs on China drive allies into arms of our adversaries. Bob Casey: Disclose political donors; Citizens United empowers wealthy. Bob Casey: Protect voting rights; no voter-ID. Heidi Heitkamp: Reverse Citizens United by constitutional amendment. Heidi Heitkamp: Opposes voter ID; they target minorities & youth. Jon Tester: Spotlight Act: no dark money in campaigns. Jon Tester: Introduced bill to ensure Native American voting access. Kevin Cramer: No disclosure of corporate campaign donations. Lou Barletta: No disclosure of political donors. Robert Menendez: Citizens United rolled back decades of progress. Robert Menendez: Do everything to protect all Americans' right to vote. Bob Casey: Expanded background checks; ban on bump stocks. Bob Hugin: Expanded background checks; bar people with mental illnesses. Jon Tester: Supports background checks & banning bump stocks. Lou Barletta: No background checks; but limit bump stocks. Matt Rosendale: Second Amendment rights are non-negotiable. Robert Menendez: Universal background checks & assault weapons ban. Bob Hugin: Lobbied to block cheaper generic alternatives. Bob Hugin: Repeal ObamaCare but keep preexisting conditions. Heidi Heitkamp: Support ObamaCare, with improvements. Jon Tester: I won't give up on repealing & replacing ObamaCare. Kevin Cramer: ObamaCare is an insult to the Constitution & the conscience. Robert Menendez: Repealing ObamaCare would hike premiums & hurt the disabled. Bob Casey: Comprehensive reform, including DREAMers staying. Bob Hugin: Path to citizenship for people building a productive life. Heidi Heitkamp: Path to citizenship for DREAMers, with conditions. Jon Tester: Bipartisan reform with earned path to citizenship. Kevin Cramer: DACA was unlawfully put together; send DREAMers home. Lou Barletta: Zero-tolerance policy; stop DACA in its tracks. Matt Rosendale: Rule of law has been ignored for illegal immigrants. Robert Menendez: DREAMer kids have grown up as Americans. Bob Casey: Raise federal minimum wage from $7.25 to $12 by 2020. Heidi Heitkamp: Raise minimum wage from $7.25 to $10.10/hour. Jon Tester: Raise minimum wage from $7.25/hr to $10.10. Kevin Cramer: Reduce regulations instead of raising minimum wage. Matt Rosendale: Don't raise minimum wage from $7.25/hr to $10.10. Robert Menendez: Raise minimum wage from $7.25 to $10.10/hour. Robert Menendez: Severely admonished by Senate for political favors. Heidi Heitkamp: Opposes privatization of Social Security. Jon Tester: Opposes any plan to privatize. Kevin Cramer: Advocate for private sector options. Lou Barletta: Explore privatization of Social Security. Matt Rosendale: Let younger Americans invest privately instead of paying in. Robert Menendez: Opposes privatization of Social Security. Bob Hugin: Trump tax cuts delivered real relief & job creation. Heidi Heitkamp: Trump tax cuts provide no relief for middle-class families. Jon Tester: Trump tax cuts were a disastrous handout for jet-owners. Kevin Cramer: Trump tax cuts were best Christmas gift Washington can give. Matt Rosendale: Trump tax cuts mean more jobs for Montanans. Robert Menendez: Trump tax cuts was giant hit job on middle class. Bob Casey: Support Net Neutrality; require equal access to all users. Heidi Heitkamp: Supports strong infrastructure spending. Heidi Heitkamp: Support Net Neutrality, requiring equal access to all users. Jon Tester: Lead the world in clean technology. Jon Tester: 2008 stimulus was necessary; invest more in infrastructure. Jon Tester: Repealing Net Neutrality handed Internet to corporations. Kevin Cramer: Opposed stimulus investment, except infrastructure. Kevin Cramer: End Net Neutrality; don't require equal access to all users. Lou Barletta: End Net Neutrality; don't require equal access to all users. Robert Menendez: Net Neutrality avoids higher prices. Bob Casey: Supports Obama's Iran nuclear treaty. Bob Hugin: Iran used nuclear deal to export terrorism. Heidi Heitkamp: Supports treaty limiting Iran's nuclear capability. Jon Tester: Iran nuclear treaty is only option. Kevin Cramer: Withdraw from treaty limiting Iran's nuclear capability. Lou Barletta: Withdraw from Obama's Iran nuclear treaty. Robert Menendez: Selling arms to Saudi Arabia makes crisis in Yemen. Robert Menendez: Grave mistake to walk away from Iran nuke deal without plan. 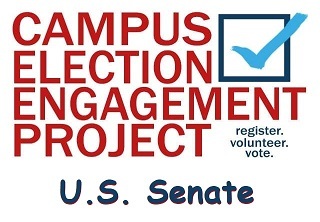 The above quotations are from CampusElect.org 2018 Campus Election Engagement Project.